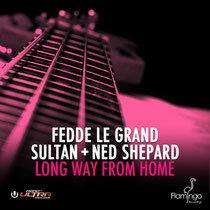 As Miami Music Week and Ultra Music Festival 2013 reached its peak last weekend, Fedde le Grand alongside Canadian rising stars Sultan and Ned Shepard, recently sent out a Postcard From Miami, a visual love letter to the crowds that have attended the Road To Ultra Tour and beyond. Providing the soundtrack to the video is the trio’s latest co-production, ‘Long Way From Home’, the official ‘Road To Ultra’ Tour Anthem, which is out now on Flamingo Records. The ‘Road To Ultra’ saw many eager fans fill out dance floors in nine key US cities under the musical ministrations of Fedde and his tour teammates Sultan + Ned Shepard, before hundreds of thousands descended on Miami itself, all in search of that ultimate bassline. Check it out below.